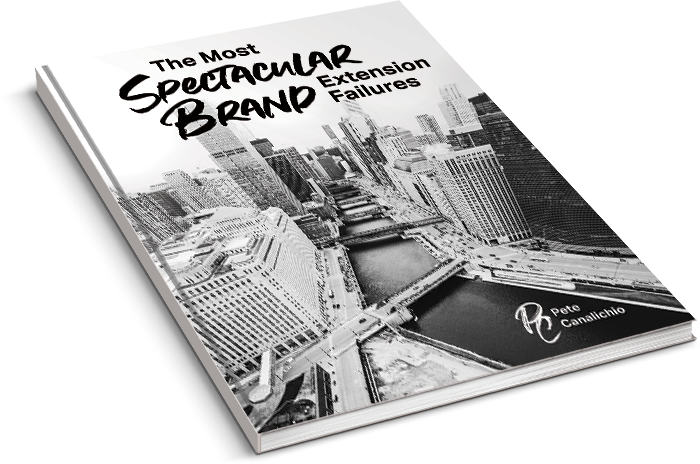 After having negotiated dozens of best-in-class brand licensing agreements for both Fortune 500 and smaller companies, I can tell you this: A little preparation and some structure can go a long way toward a successful outcome. Because the licensor knows the prospective licensee wants to license their company’s brand, they inherently have the stronger position in the negotiation. As such, the licensor can and should use this knowledge to their advantage to ensure the brand is protected and shareholder value is maximized. However, if the terms are so restrictive that they preclude the licensee from winning any business or handcuff the licensee from being able to gain a sustainable and growing revenue base once they do, the contract is doomed to failure. Similarly, if the terms are so expensive that the licensee cannot recover their investment and subsequently make a profit over the life of the contract, the license will fail before it ever gets off the ground. Successful licensors keep the end in mind and practice win-win negotiating tactics. Similarly, smart licensees will have identified several choices of brands from which to acquire a license and will set limits on what deal terms they will accept, regardless of their brand preference. In these instances, both parties can shake hands on a set of terms they know will allow them both to be successful. These terms consist of rights to territories, channels of distribution, covered products and trademarks, work product, quality assurance standards, the licensing approval process, manufacturing facility approval, royalty rates, minimum guaranteed royalties, and sales requirements. Understanding these terms and the commitments you will be making are crucial to an effective licensing contract negotiation and could save your company hundreds of thousands of dollars over the life of your agreement. 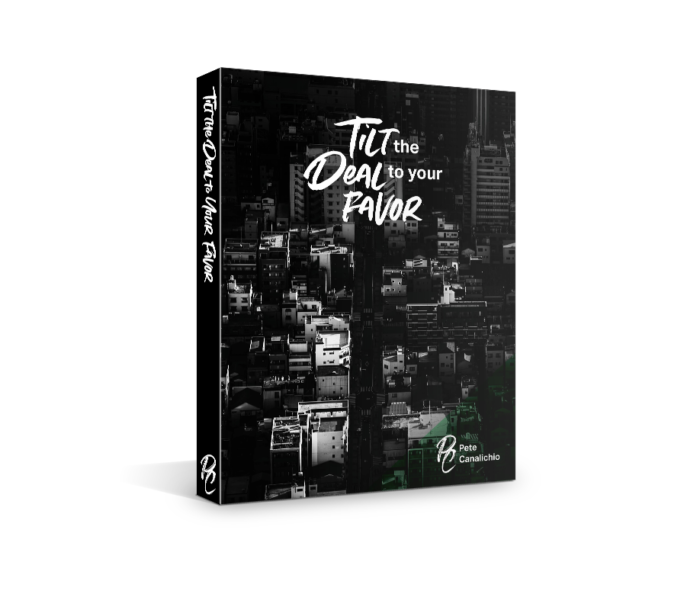 My 65-page Brand Licensing Negotiation Manual shows you my exclusive 5-stage negotiation process. Every licensor must follow an internal process that licensors before signing an agreement with a licensee. I will take you through the various stages of due diligence and the tools and documents used to enable licensors to track the agreement. Brand owners and manufacturers who wish to build a best-in-class program should familiarize themselves with these documents and the process. The deal approval process generally takes place in five stages. In this stage, the person responsible for negotiating the contract on behalf of either the brand owner or manufacturer familiarizes himself or herself with the deal terms and their definitions. This is especially important if the person responsible has never negotiated a licensing contract or hasn’t negotiated one in the past six months. Having a clear understanding of the deal terms is critical for both the licensor and licensee to appreciate the expectations and obligations that come with signing the agreement. Moreover, a good understanding will ensure that no money is left on the table during the negotiation process and that the parties won’t unknowingly breach the agreement after it is signed. Covered Products are the products specified in the agreement that will be sold by the licensee that bear the trademarks of the licensor. Therefore, it is important when defining the Covered Products to be as specific as possible to avoid granting too broad a set of rights. Otherwise, the licensee may be incapable of commercializing the entire line. This can limit a brand’s growth or result in unfulfilled expectations. For example, a manufacturer of hand tools for the garden may wish to license the Garden Tools category under the Pike brand for the Home Improvement channel, granting Pike the ability to enter this new channel. As the Garden Tools category can represent a variety of products, Pike may wish to more narrowly define the Covered Products term to Garden Hand Tools and then list the specific tools to be licensed in the Deal Term Sheet. Manufacturers can typically broaden the Covered Products definition once they have successfully commercialized the original category. Read more about this in my $29.99 guide. 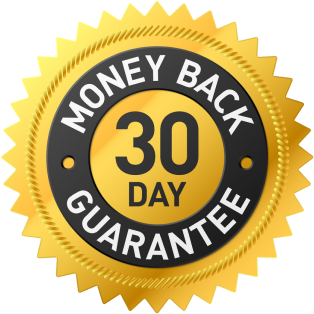 It comes with a 30-day money back guarantee. Authorized Channels are the channels of distribution in which the Covered Products may be sold as set forth in the agreement. Typically channels included in the agreement as Authorized Channels are those that the licensee already has successfully commercialized. Authorized Channels include everything from bookstores to catalogs to convenience stores to the Internet to mass markets to television shopping channels. In the garden hand tools example above, one of the authorized channels might be Home Improvement, including stores such as The Home Depot and Lowe’s. If a licensee wants to gain rights to a channel they currently are not commercializing, they should make the licensor aware of this and come prepared with a plan to enter that channel with the licensor’s brand. The licensor may authorize the channel based on the robustness of the plan or choose to wait until the other approved channels are successfully commercialized. Read more about this in my guide. They are the minimum amount of royalties payable by the licensee to the licensor with respect to the sale and distribution of Licensed Products. The payments are normally made on a quarterly basis and are segregated by country or region. As an example, a licensee with rights to North America normally would be required to pay a Minimum Guarantee each quarter for each country in the region, i.e., for Canada, Mexico, and the United States. The Minimum Guarantees are normally set between 25% and 40% of the projected royalties for each region. This percentage is considered substantial enough to put “teeth” into the contract while set low enough under the most conservative scenario to enable the licensee to meet or exceed the sale of the Covered Product needed to generate enough royalty payments to cover the Minimum Guarantees. As these are binding financial obligations, it is critically important that both the licensor and the licensee believe the Minimum Guarantees are fair and Achievable. Read more about this in my guide. Once you read through my guide and get a good understanding of each of the Deal Terms and their impact on the licensing contract, it is important to develop a negotiations strategy that will enable you to achieve the license you want without paying too much for it. I’m going to assume you have some experience with negotiation so I’d rather equip you with a helpful structure. While negotiation skills come with experience, these terms and techniques should help you improve your effectiveness. The structure I use involves seven elements, but I will only discuss two of them to give you a sense of what you can expect from my brand licensing negotiation guide. What are the walk-away possibilities each party has if no agreement is reached? The Best Alternative to a Negotiated Agreement, or BATNA, is defined as the option that normally would be chosen if an agreement cannot be reached. For a licensor, alternatives may include choosing to manufacture the product in-house or choosing not to enter the market. The BATNA will tend to drive the degree to which a licensor or licensee is willing to tolerate a higher or lower royalty or Minimum Guarantee within a standard Deal Term range. For example, if a licensor learns (say through a PR Announcement) that a prospective licensee just lost their license with a competitor and is desperately looking for a comparable brand to replace the lost brand, the licensor will be in a position of strength in the negotiation. The licensee with a poor BATNA (and less favorable alternatives) will be in a position of weakness. In this case, the licensee likely will end up agreeing to less favorable Deal Terms than if they had a stronger BATNA. With preparation, you can improve your alternatives or possibly make the other party’s alternative less appealing. The first step in getting prepared is having a good understanding of your BATNA. Read more about this in my guide. Standards of Legitimacy includes laws, regulations, industry standards, the market price, and expert opinion. Because we are hard-wired to achieve “fair” outcomes and reject unfair outcomes, standards of legitimacy can be a powerful tool in ensuring no one feels taken in a negotiation. In your negotiation preparation, you may wish to understand how the gross margins in your industry differ against industry norms. In that way, you can explain why your appeal for a lower royalty rate is a fair request. Conversely, you can ask the other party why a particular Sales Performance Requirement they put forward is a fair number. If they cannot come up with a good explanation, there is a likelihood they will move their position in your favor. Communication is defined as the exchange of thoughts, messages or information by speech, writing, physical cues or other action. Oftentimes the message you are sending is not the message the other party is receiving. Therefore, it is important to tailor your words and tone to the needs of your intended audience. Then ask them to confirm what they have heard. In this way, you can clarify any miscommunication. Read more about this in my guide. Once you have a good overview of the 7 elements of a successful negotiation, I recommend that you complete a worksheet before each negotiation that will let you evaluate each of the 7 elements. I have provided you with a template in Appendix I to help get you started. Click here to see it. As you consider your negotiating strategy and specifically the Standards of Legitimacy, you will want to factor in what are the accepted standard ranges for those quantifiable Deal Terms. And, while each licensing contract will vary from licensor to licensor and from category to category of Covered Product, the guidelines outlined below should hold you in relatively good stead as you determine what will be considered a successful negotiation. In the case of Royalty Rates, the ranges will depend on the average profitability being achieved in the category at the time and what comparable brands in the category are commanding. Categories with higher margins generally will require higher royalty rates. For example, the margin on lapel pins is much higher than the margin on tee shirts. So a licensor can typically command a higher royalty rate for lapel pins (15% – 20%) as compared to tee shirts (6% to 10%). Read more about this in my guide. Licensors typically have licensees fill out a robust application. It is designed to request a substantive amount of information on the licensee. The licensor can then use this knowledge in optimizing the contract deal terms to put the licensee in the best position to be successful. This includes tightly defining channels, territories or Covered Product categories in which the licensee has demonstrated strengths. Read more about what areas a standard licensee application should cover here. Another important document that licensees complete is the Conservative Business Estimator. The conservative business estimator allows the licensee to articulate their vision of the program to the licensor for the first three years, post-commercialization. The Conservative Business Estimator requires the prospective licensee to provide a sales forecast broken down by region, channel and Stock Keeping Unit (SKU). The licensor uses these sales targets provided by the licensee as a guide when negotiating deal terms, including Sales Performance Requirements, Guaranteed Minimum Periodic Royalty Payments, and Advances. Find out more about how the Conservative Business Estimator can help you. After the brand owner (licensor) and the manufacturer (licensee) have understood all the deal terms and have structured a negotiation strategy in their mind, it is time to put their knowledge to work. They now need to get together and negotiate each of the deal terms. Only when they agree on each of the deal terms will their relationship reach the next level of actually drafting and signing the contract. The precursor to the actual contract is the Deal Terms Sheet, which contains the most important deal terms that the licensee and the licensor need to agree upon. These deal terms, including trademarks licensed, covered products, territories, channels, royalty rates, etc., are terms that both parties will encounter during the day-to-day servicing of the license. Please see Appendix II for an example of the Deal Terms Sheet. The negotiation of the key deal terms usually takes place face-to-face. While you can negotiate these terms over the phone or even via email, there is nothing like gauging the other party’s body language and facial expressions during any negotiation. As we mentioned in the previous section, communication is an important piece of the negotiations framework. If both parties have thought through their negotiations strategy in advance—i.e., evaluated their alternatives, defined their BATNA and their interests, an agreement on the Deal Terms Sheet can be achieved in as little as one day. Want To See A Mock Negotiation Between a Brand and a Licensee? My Brand Licensing Negotiation Manual includes a 12-page section showing you the kind of dialogue you might expect between a licensor and licensee. You’ll even see worksheets attached to the dialog–how cool is that? The mock negotiation below is between Ms. Zerrillo, VP of Licensing for the Storage Solutions Brand (the licensor) and Mr. Doe, the CEO of Excellent Cabinets Corp. (prospective licensee). Excellent Cabinets is interested in licensing the Storage Solutions brand in the Ready-to-Assemble Wooden Shelves and Cabinets category. Excellent Cabinets is a well-respected company and already holds licenses of other prestigious brands in the category, including Shelves!, Woodblocker, Self Shelf, Garage Essentials, and Storage Essentials. Once senior management has given the deal the green light, and the deal terms have been agreed upon and signed off between the licensee and the licensor, the licensor asks their legal counsel to draft the contract. The deal terms summary sheet provides the material for the contract. Want a complete explanation of these schedules and how to use them? Click here. Once the contract has been drafted, it is sent to the licensee. The licensee should review each of the terms with the Deal Terms Sheet they had signed previously to confirm the contract is aligned. Read about what can go wrong at this stage and how to fix it.